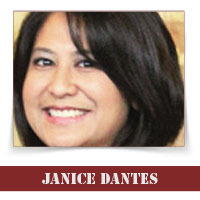 Home / Columnists / Janice Dantes / Who Gets The Engagement Ring? The first thing women ask other women who get engaged is, “Can I see your ring?” The engagement ring is incredibly symbolic and a solidification of commitment for many couples. It is a gift given typically from the man to the woman he chooses to spend the rest of his life with. Also, it usually is an expensive gift. Typically, an engagement ring is 3 months of salary for the man. So what happens to the engagement ring when people break up? I have dealt with a few cases where the engagement ring has come up. First, I absolutely hate dealing with the division of personal property. If you slept with someone, you should be able to be civil enough to return items. It is NOT WORTH litigating who gets the dining table, Magic Sing, or Xbox. I have seen people each hire a lawyer to determine who gets the dining table. With the amount of attorney’s fees spent, you probably could buy a newer, nicer dining table. If you get it back, great. If you don’t, who cares. 3) couple sells ring and divides the proceeds. The general rule is that an engagement ring is a gift prior to the marriage. Therefore it is a non-marital asset that belongs to the wife. However, in the event that a couple becomes engaged and do not marry, the man is entitled to thing ring back as it is considered part of the contract deal to get married. If there is no marriage, ladies, it is bad form to keep the ring. My last piece of advice is at the end of the day, these are material things. When you die, you cannot take them with you. If you have questions about your marriage, please contact me at (312) 546-5077 or janice@ pinaylaw.com. Thank you for reading. Until we meet again, love one another.